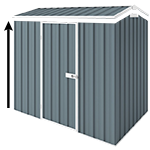 The Cheap Sheds Double Garage comes with 2 x roller door and measures 5.9m x 5.9m and 2.4m high (with the option to increase to 2.7m or 3m height). Each garage will be Engineered to Site Specific. This means the design is adjusted to suit your specific property to ensure its safe and suitable for where it will be built. These garages are only available for Region A and Region B in Australia. Please refer to our Wind Zone section below. 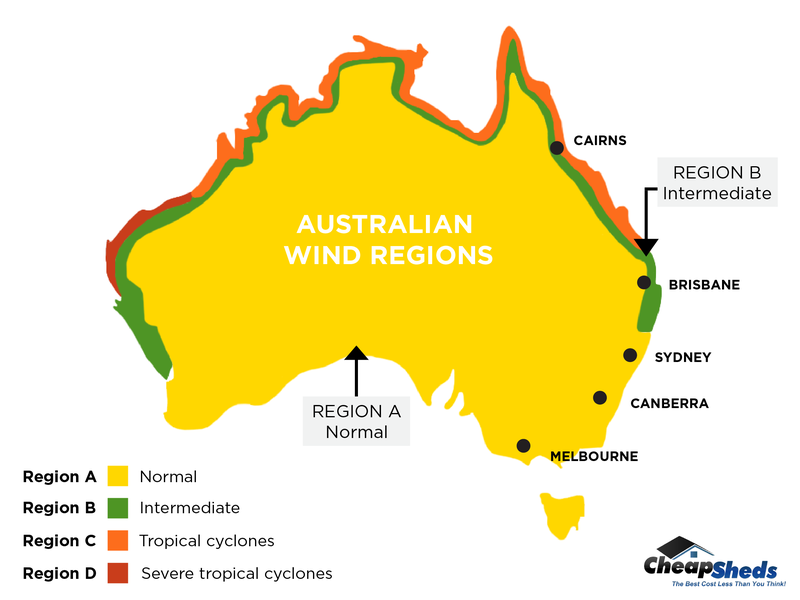 To ensure your safety and the structural warranty of the building the garages are designed for Region A and Region B wind rated areas in Australia. These are NOT suitable for cyclone-prone areas. Please refer to the map for Region A and Region B. The Cheap Sheds Garage kits are designed to be site specific which requires our professional team to develop the engineering plans and documentation. If your plans are not approved by the council your investment is refunded minus an engineering fee, $500. However, the documents are yours to own and make adjustments to. If you would like the engineering and relevant site-specific documentation PRIOR to purchase a $500.00 deposit will be required to design this detail. This deposit is non-refundable and will be deducted from the garage price at placement of order.